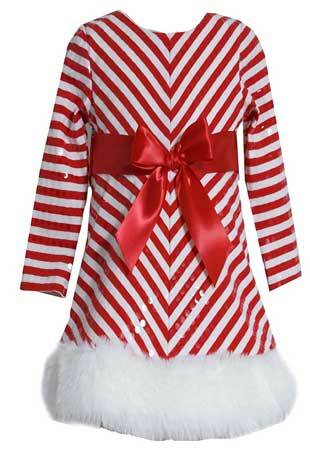 Lito girls flocked stripe long sleeve Christmas dress is great for any special occasion. It is made of 95% Polyester. It contains a red bow just right below her chest. 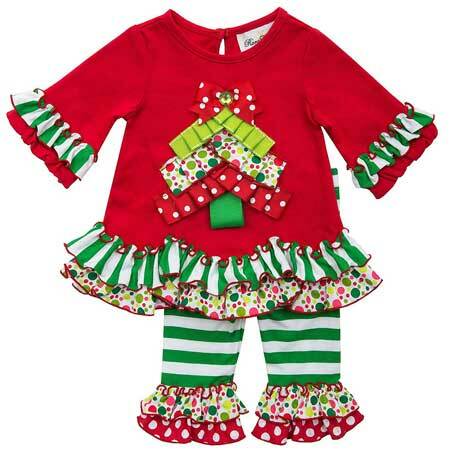 The Christmas dress features a long sleeve velvet bodice leading to a flocked stripe skirt. It fits as expectation of 75% of customers. 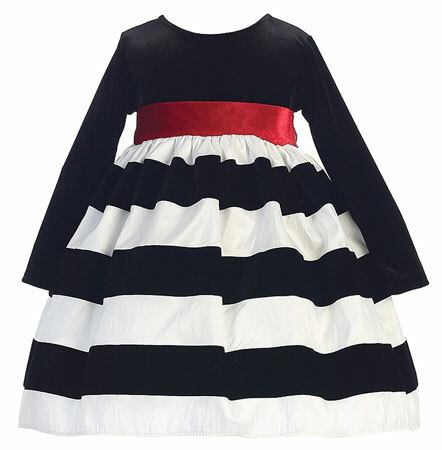 A classically inspired Christmas dress from Lito. 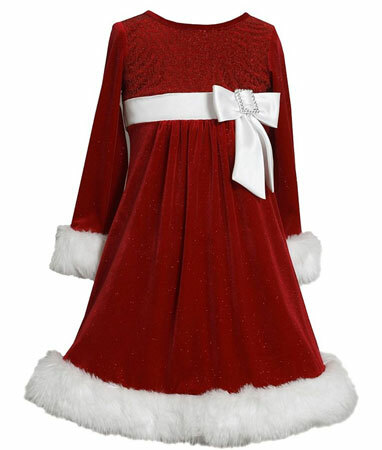 This Bonnie Jean red velvet Santa dress is Sequined bodice. 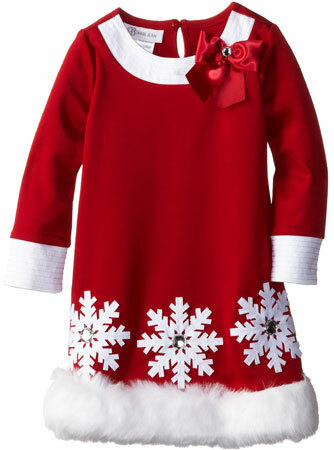 It has scoop neckline, faux fur trim at long sleeves and hem. The dress goes upto knee. It is machine washable. 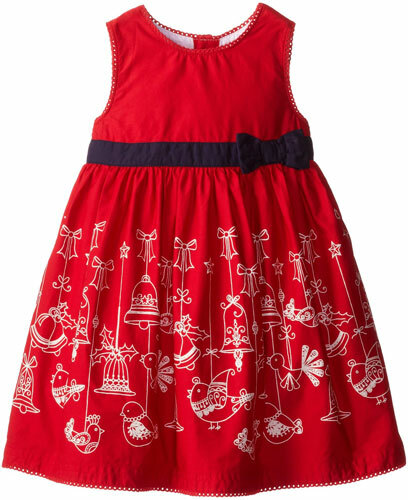 This dress is perfect for your little girls from 4 months to 24 months. Various sizes are available. It is great for Christmas days. The materials are high quality.